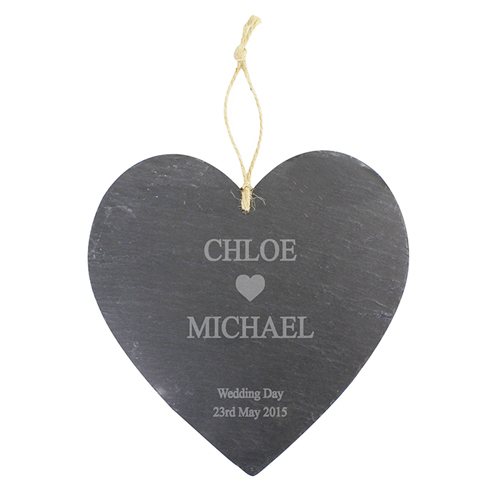 Personalise this Large Heart Motif Slate Hanging Heart with two names of up to 12 characters each. Between the two names is a cute heart motif, add a short message underneath, of up to 2 lines of 15 characters. Personalise with two names of up to 12 characters each. Between the two names is a cute heart motif, add a short message underneath, of up to 2 lines of 15 characters.